Happy Friday! I hope you've had a great week! I finally see fall-like temperatures in our forecast and I'm pretty excited about it. I absolutely love summertime and warm weather but only when it's actual summer. Once October rolls around, I want all of the fall things. Sweaters, boots, warm apple cider, pumpkins, and cool weather. Today, I'm sharing my weekly roundup of what I'm currently loving. It was hard to narrow it down to eight picks this week because I found so many things that I loved! 1. B O O T S | I bought this boots last season and I still love them! They are great quality for the price but the very best part is the comfort. These boots are probably the most comfortable pair that I have ever worn. Perfect heel height and true to size. 2. S T R I P E D S W E A T E R | I just got this sweater in the mail and I love how soft it is! Plus, the colors are gorgeous. I don't already own anything like it! It's a little shorter in length than most of my sweaters but it's perfect for styling with my high rise denim. I got a small and it fits true to size. 3. P U L L O V E R | This pullover couldn't be cozier! It's so incredibly soft and fits oversized. I got a small and I love it! 4. W A F F L E H E N L E Y | Continuing with the theme of soft and cozy... I am loving this waffle henley top! It's such a great basic to add to your fall wardrobe. The fit is also true to size. 5. O V E R A L L S | I have wanted this overalls for awhile now because I love denim ones so much. I finally got them and I can't wait to style them all fall and winter long! They do run a little small so size up one size if you want a little more breathing room. 6. P L U S H T E E | Yep, another soft piece of clothing. I love comfort! You can just never have enough striped tees and I love this plush one. 7. 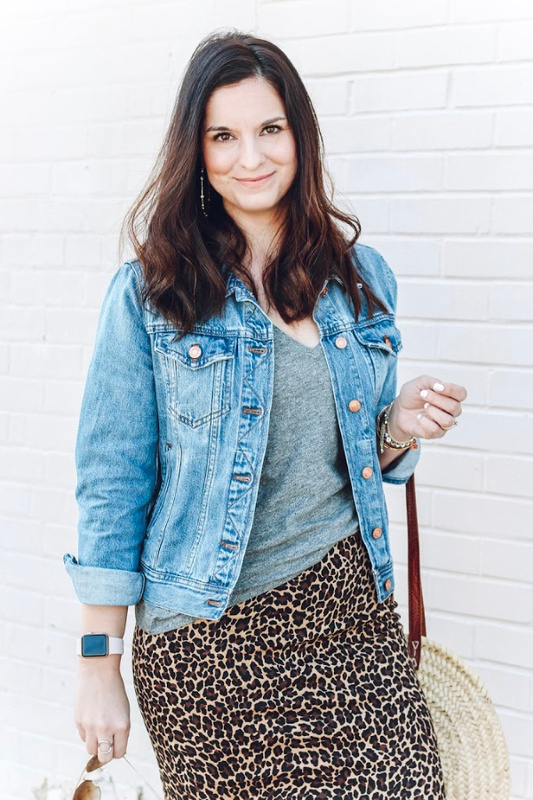 H E A D B A N D | I've expanded my love of animal print to hair accessories now, too. I love the fun print of this head band and how it would make a simple outfit, much more interesting. 8. H E E L S | How cute are these heels?! They are velvet AND pink. I love them! I think they would be perfect with skinny jeans and a sweater or dressed up with a little black dress.